If you are facing divorce in Massachusetts, a skilled and compassionate divorce lawyer can make all the difference for you and your children. Greater Boston divorce lawyer, Attorney Robert DiLibero has offices in downtown Boston and in the Boston metro-West town of Dedham. Attorney DiLibero has extensive experience in property and asset division and has served clients of Massachusetts in divorce cases involving substantial marital assets, including real estate, businesses, art and antiques, vacation homes, and investment accounts. Contemplating divorce is difficult. Whether or not you are sure you want to end your marriage, it helps to learn the basics of Massachusetts divorce law. Should you conclude that divorce is necessary, it is important to seek the assistance of an experienced family law lawyer like Attorney Robert DiLibero. The guidence and direction of an accomplished family law attorney with nearly 30 years experience can help reduce the stress, conflict, and cost that is so often related to the divorce process. For an initial consultation regarding divorce in Massachusetts contact Attorney Robert DiLibero, a knowledgeable and experienced Greater Boston divorce lawyer. He believes in building trust and communication and settling disputes in a supportive environment. The breakup of a marriage can be traumatic. Ease your burden by learning your legal rights and obligations about Massachusetts divorce law. 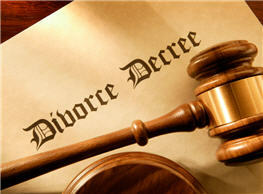 Call the Greater Boston divorce lawyer, Attorney DiLibero to schedule an complimentary initial consultation.